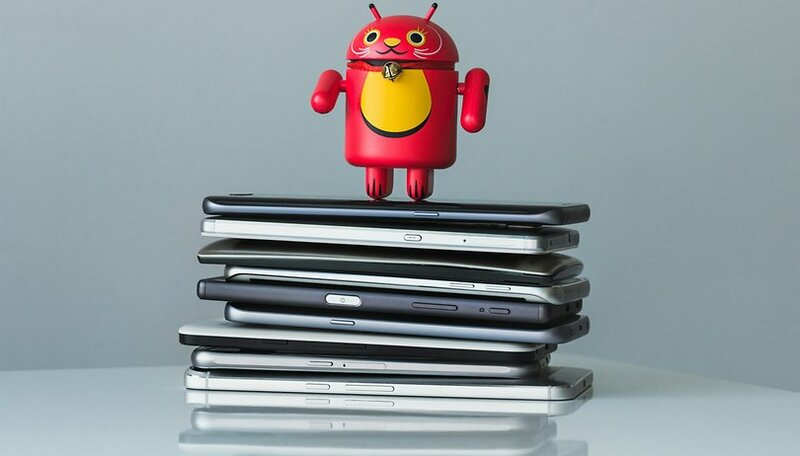 What do Xiaomi, Apple, Google and OnePlus have in common? Ok, it's easy: they all make smartphones. And they've all attracted some attention in one way or another in recent days (Apple), weeks (Google, Xiaomi) or even months (OnePlus). And they all show how banal the entire industry is at the moment. When I talk about banality, I mean the product as a whole. There are hardly any really bad smartphones anymore, all of them are somehow good and pack the typical everyday life neatly. And more? There are the expert debates about notch (on which I also took a stand), but which has no relevance outside our bubble. Have you ever advised anyone against a smartphone because it has a notch? As the only relevant reason? Exactly. In the light of the Apple keynote, I'd like to take an early personal look back at the smartphone year 2018 - and I'm sure you'll find one or two controversial opinions. Pour yourself your beverage of choice to steady your nerves, I'm going to sound off. The OnePlus 6 was perhaps an uninspired smartphone, I'd almost say: the old glamour is lost. Of course it's fast, but otherwise? I still find myself finding myself finding the predecessor more interesting: more stylish design, more practical size and - all right - no notch. I don't expect much from the 6T. Samsung also ventured forward with new smartphones and my disappointment could hardly be greater. Galaxy S9 and S9+ and Note9 were the most important new features. I wonder: where are practical new features? Why pay hundreds of dollars extra for a minimal upgrade compared to the predecessors? No wonder the Samsung events didn't have any highlights this year. And if they had been there: the audience would have simply slept through them. I especially remember the discussions about the Pocophone F1. Minimalism is written in capital letters here. But let's be honest: the only thing that stands out here is the price. Everything else is either cheaply mass-produced or mediocre. The watchword is mercilessly cheap. And that's all there is to it. Other smartphones are actually better suited for every user, but one prefers to buy imported goods because one supposedly saves a few dollars. How can it be that a smartphone is so well received, even though it is completely underwhelming in terms of features? I don't understand it. Apple has crowned its show of superlatives with three new iPhones. You are bombarded with overwhelming performance stats. Marketing genius Phil Schiller whirls across the stage and whips the crowd hot for a new age of photography. He heats up an endless hour until the audience joins in with the cheering choir and cheers for the oh so well new features. But then: a few minutes are all it takes for a glimmer of hope. More about that later. Google: make notches great again! Google is still to go and we think we already know everything about the third Pixel generation. Obviously, Google is preparing the biggest notch of all time out of some perverse desire to hold the record for themselves. Ahem. I admit that I'm a Google aficionado and that Pixel 2 XL is currently the best smartphone in existence despite all the problems. Curious: The successor won't change that. The 3rd series already sounds so strangely stale that it's easy to see: just another smartphone from 2018. Sure, it'll be fast, with a great camera, but it won't exactly be exciting. What happened to interesting smartphones this year? The courageous design or product decisions? An exciting new feature that suddenly makes my everyday life better? But there was one more thing: Apple at least showed some creative potential with the ARKit demos and I celebrate that. The demo of the basketball training with the iPhone is great and shows what is actually tangible reality today with sophisticated technology. The gloom in the smartphone market has taken over this year. The fact that the most celebrated smartphone du jour that has nothing to offer apart from the lowest price speaks volumes. With its two-hour marketing shows, Apple manages to hide the fact that there isn't really much to say. The only consolation is that in the wake of all this stillness and stagnation, the waves are bunching to form a brilliant smartphone year 2019. Faster processors bring with them AR applications that can enhance all situations. Digital assistants take on a number of tasks that we still use manually today - with the Assistant Demo Duplex, Google has shown what is already technically feasible. On the distant horizon, the LTE successor 5G is already appearing, which not only can transmit faster, but is also transforming all data networks. Will this makes new gadgets possible that even science fiction writers wouldn't think of? No, that's unrealistic. The audience won't buy that. I can still dream, after all. But when the time comes, I'm ready! This article is a commentary and reflects the opinion of the author, which is not necessarily the opinion of the editorial staff. Smartphones are "boring". I HOPE SO! Maybe if they stop being "slim, stylish & colorful" the insane prices will come DOWN. into the flashy/colorful nonsense along with the more is better. More ram, more colors, more stylish, more cameras, smaller batteries. During the last three or so, OEMs have adopted a template of what constitutes a "premium" design: slick, fragile, and fingerprint prone glass backs; thin bezels, which usually results in a notch and loss of dual, front-facing speakers (ear piece and bottom firing speakers are a poor substitute); thin phones - which often results in a smaller battery, a camera bump and, allegedly, elimination off the 3.5mm headphone jack. They spend enormous sums on face unlocking and in display fingerprint scanners when the quickest way of unlocking a pocket carried phone remains the, properly positioned, rear fingerprint scanner. An excellent comment friend, I completely agree. Very true! Smartphones have become uninspiring over the last two years and most off the big guys phones have disappointed me! It's the smaller companies that seem to be making great phones with reasonable prices!